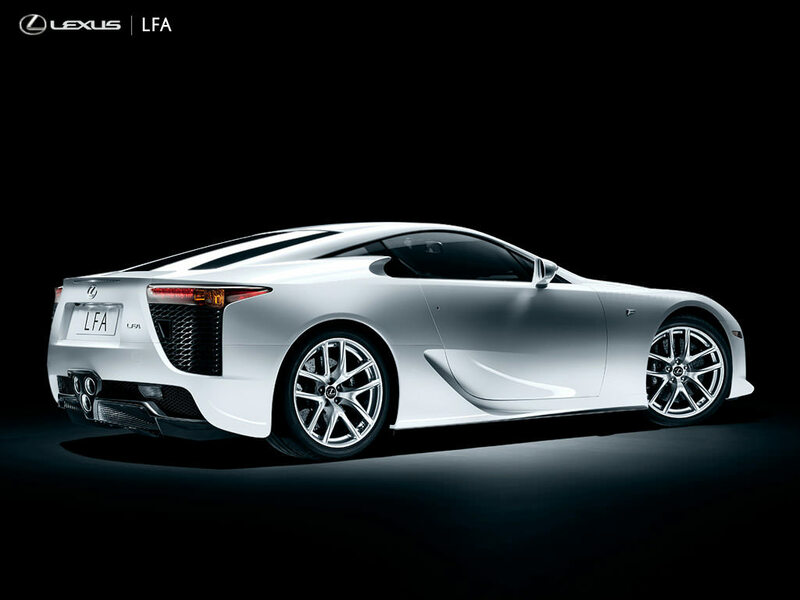 The Lexus LFA is an amazing car. 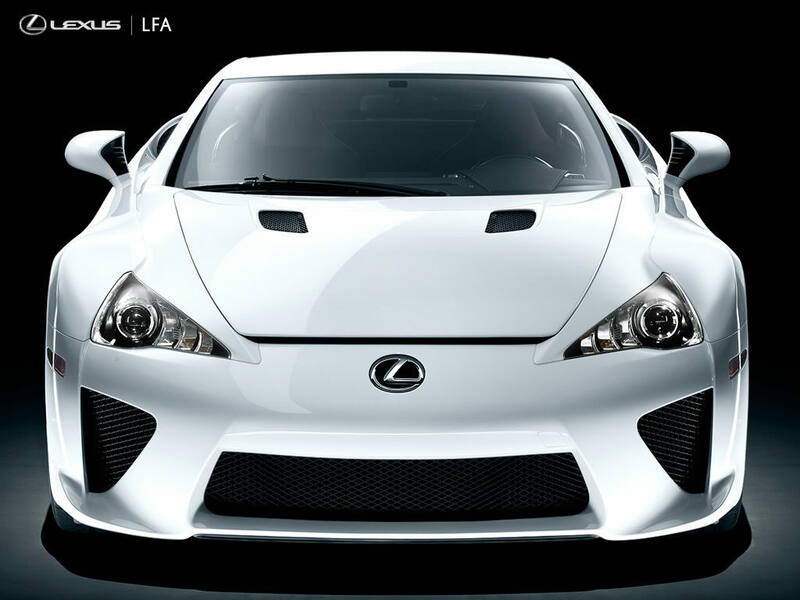 It is a 2-seat exotic sports coupe. The engine is a 4.8 liter V10. This engine puts out 8,700 rpm. The torque of this car can get up to about 6,200 rpm. The way the engine is placed in the car makes it run better. If it was off anywhere, the car wouldn’t move as smooth as it does. The engine allows the car to get better efficiency and lowers the total weight. The V10 lets the car rev higher which lets it get to the top speed faster. This engine weighs less than the v6 the manufacturers have. The engineers are trying to make the engine sound like a formula one car. 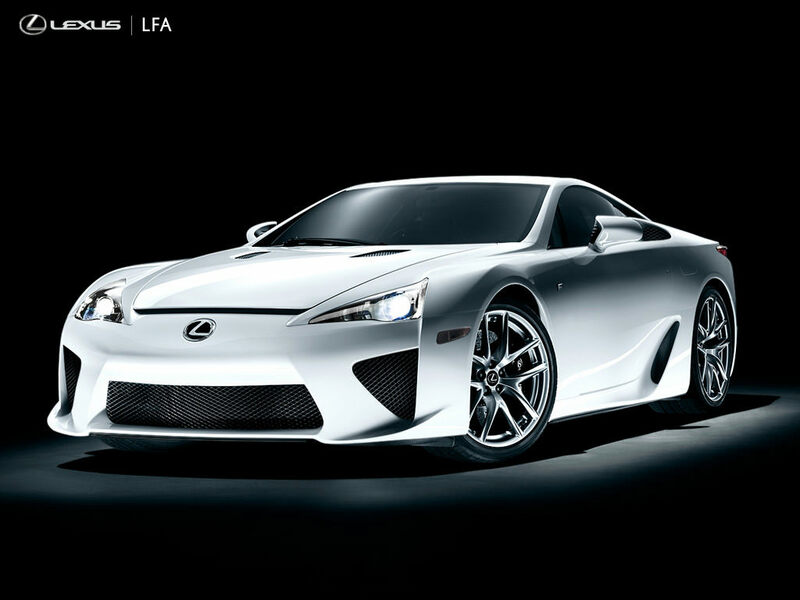 The top speed of the Lexus LFA is 202 mph. The gearbox is a six-speed automatic. You can choose many different styles of driving. You can choose auto, normal, sport, and wet. The gear shifting is overly smooth says the engineers. The smooth shifting is favored by many people. The frame of this car is carbon fiber-reinforced polymer. The front suspension allows the car to go over bumps and you will barely feel them. With the way the car shifts and rides, this would be the perfect car to have. 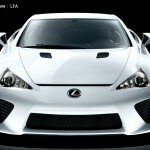 The carbon fiber body of the car has narrow edges and cutoffs which improves the way wind hits the car. The car has scoops that are located over the rear fenders to let air in to cool the brakes. There are dual hood vents that move hot air away from the exhaust to keep the engine cool. 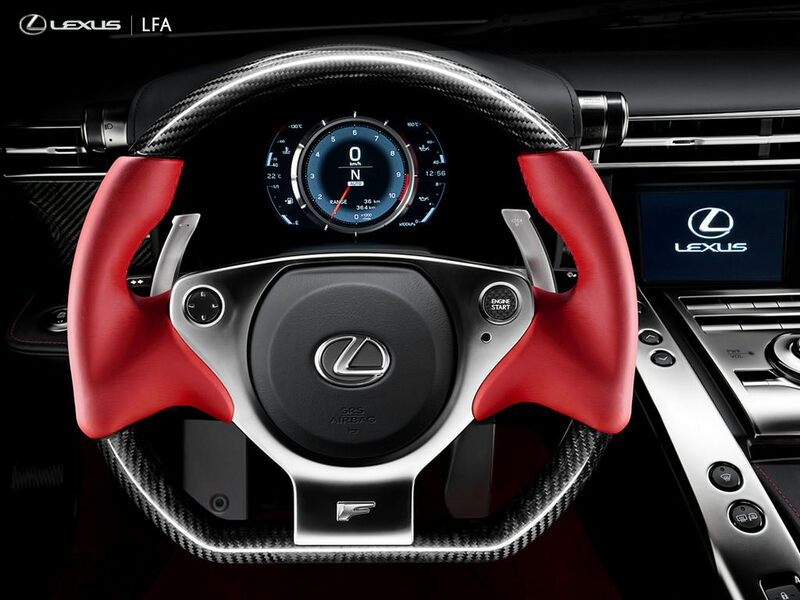 The interior has two bucket seats and remote touch controller interface. In order to start this car you have to put the key in and push a button. This car has many features to it.